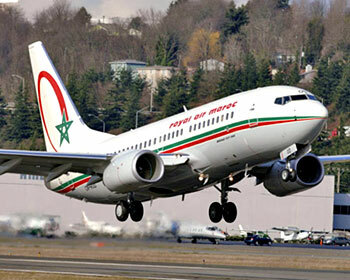 Royal Air Maroc is the national airline carrier of Morocco and the airline is based in the city of Casablanca. Founded in 1957, Royal Air Maroc operates scheduled international flight services Morocco to 78 destination cities across Africa, Asia, Europe, and North America. It also operates a domestic and charter flight network and also Hajj flights during the Islamic Haj season. 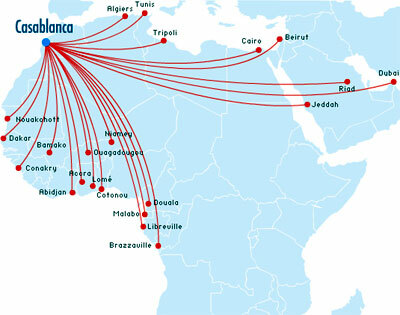 Royal Air Maroc main hub and base is located Mohammed V International Airport (CMN), Casablanca. Safar Flyer is Royal Air Maroc frequent flyer program and Casablanca Lounge is its member lounge. Royal Air Maroc signed codeshare agreements with Air France, Etihad Airways, Turkish Airlines, Air Senegal International, Delta Air Lines, Egyptair, Regional Air Linse, Iberia Airlines and Saudi Arabian Airlines. Check flight schedule, flight status directly from Royal Air Maroc official website. You can also check on the cheapest airfare, flight schedule, flight status, airlines offices, contact number, airlines packages, air cargo partners, air ticket prices and booking procedure, international airfares, frequent flyer and other flight information and travel deals and packages. When you are making an airfare booking, select from either economy airfares, business class airfares or first class airfares whichever you prefer. Have a pleasant flight journey and enjoy your holidays or business trip!